Structural vibrations have become the critical factor limiting the performance of many engineering systems, typical amplitudes ranging from meters to a few nanometers. Many acoustic nuisances in transportation systems and residential and office buildings are also related to structural vibrations. The active control of such vibrations involves nine orders of magnitude of vibration amplitude, which exerts a profound influence on the technology. Active vibration control is highly multidisciplinary, involving structural vibration, acoustics, signal processing, materials science, and actuator and sensor technology. 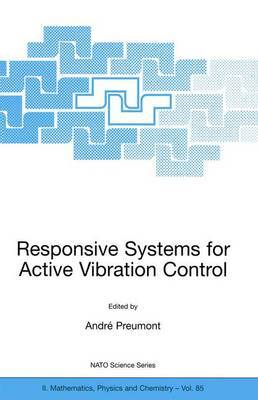 Chapters 1-3 of this book provide a state-of-the-art introduction to active vibration control, active sound control, and active vibroacoustic control, respectively. Chapter 4 discusses actuator/sensor placement, Chapter 5 deals with robust control of vibrating structures, Chapter 6 discusses finite element modelling of piezoelectric continua and Chapter 7 addresses the latest trends in piezoelectric multiple-degree-of-freedom actuators/sensors. Chapters 8-12 deal with example applications, including semi-active joints, active isolation and health monitoring. Chapter 13 addresses MEMS technology, while Chapter 14 discusses the design of power amplifiers for piezoelectric actuators.